Someone suffering from the disorder may have trouble with personal relationships, not be able to hold down a job, and be more prone to engaging in self-destructive and risky behaviors. Schizophrenia may be the result of dysfunctional regions of the brain or production of some of the brain’s chemical messengers, or neurotransmitters, family history and genetics, or a variety of possible psychosocial factors. The journal Schizophrenia Bulletin reported that about half of the individuals who suffer from schizophrenia are likely to have a substance use disorder (SUD) within their lifetime as well. 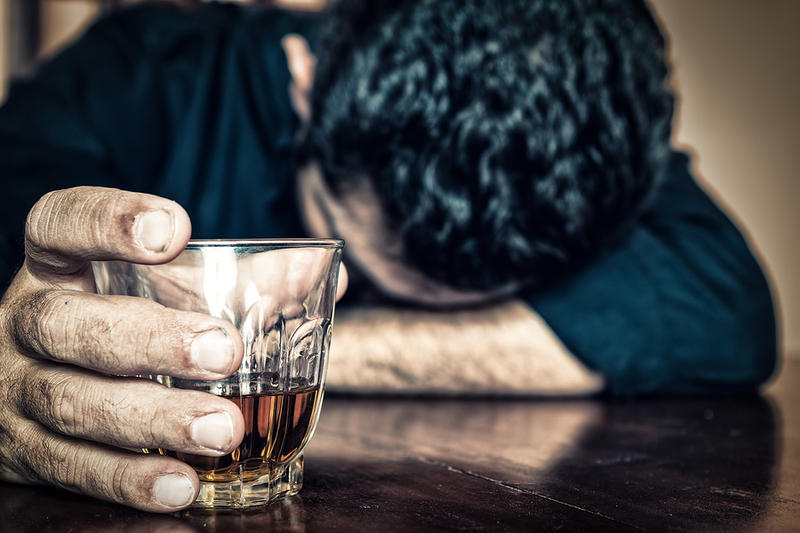 Drugs and alcohol can make symptoms of schizophrenia worse, interfere with medications and treatment of the disorder, and cause additional medical and mental health problems. When an individual continually abuses substances, the chemistry in the brain is negatively altered, which increases mental health concerns. Addiction, like schizophrenia, also may be the result of genetic vulnerabilities, brain formation, and environmental and psychosocial factors. An individual addicted to drugs or alcohol is typically under the control of the substance being abused and may be unable to stop using it, regardless of any personal, social, economic, medical, or mental health issues that substance abuse may compound. Relationships, jobs, schoolwork, and health may all suffer as a result of addiction. When someone is diagnosed with both a substance abuse disorder and a mental illness, such as schizophrenia, the disorders are said to be comorbid, or co-occurring. Individuals with schizophrenia are almost five times as likely to suffer from a substance abuse disorder than their peers without the disorder, according to the journal Dialogues in Clinical Neuroscience, and this could be due to several different factors. Someone with schizophrenia experiences a lack of pleasure as one of what is known as a negative symptom of the disorder. This may be partly due to a lack of some of the neurotransmitters that are related to pleasure like dopamine and serotonin. Drugs and alcohol generally increase the levels of these neurotransmitters in the brain, which is what causes the high or rush of euphoria; therefore, drugs may be used by someone with schizophrenic symptoms as a way of self-medication. This method usually has the opposite effect down the line, however, as chronic drug or alcohol abuse causes the brain to make less of these neurotransmitters; instead, the brain relies on the abused substance to artificially increase these levels. When the substances are not introduced, or they are removed, dopamine and serotonin levels may drop and cause difficult withdrawal symptoms that may even be fatal without treatment or medical detox. Magnetic resonance imaging (MRI) technology has been employed to study the brains of individuals diagnosed with schizophrenia and comorbid alcohol or drug use disorders, and they seem to show similar regions may be affected by both disorders. The journal Dialogues in Clinical Neuroscience published studies highlighting lower amounts of grey matter in both schizophrenic and alcohol-dependent individuals as well as possible defects in the hippocampus and frontal cortex regions of the brain that involve reward functions, impulse control, and possible drug-seeking behaviors. The journal Disease Markers also published a study that found a connection between a specific gene and a predisposition for schizophrenia. This gene (KPNA3) also may be linked to opioid or alcohol dependence as well as other psychiatric disorders. Genetics and personal biology can certainly influence the onset of both addiction and schizophrenia, and possibly even the odds of a person developing both simultaneously. Some researchers have suggested that substance abuse may even cause schizophrenic symptoms to begin, as a study published by Northwestern University indicated that chronic marijuana abuse in particular could possibly change brain chemistry and functions related to working memory in such a way that schizophrenia may develop. Others argue that schizophrenia may not be caused by marijuana abuse, but instead may just be brought to the surface in someone already vulnerable to the mental health disorder. Marijuana may bring the onset of psychotic schizophrenia symptoms (auditory and visual hallucinations and possible delusions) sooner than they may have manifested on their own; however, Psych Central reports that researchers at Harvard Medical School and the VA Boston Healthcare System deny that it likely causes the disorder in someone without previous vulnerabilities. Someone who already has a predisposition for schizophrenia, and may have developed the disorder without abusing marijuana, may have symptoms heightened or increased with substance abuse, although the disorder is unlikely to be caused directly by substance abuse on its own. Nicotine is the most commonly abused psychoactive substance by individuals suffering from schizophrenia, as they abuse nicotine at rates triple the general American adult population, Psych Central publishes. Nicotine, like many other drugs, may increase dopamine levels in the brain, but it also may improve specific brain functions that are negatively affected by schizophrenia. Nicotine may actually improve some of the cognitive deficits caused by schizophrenia, although the Journal of Dual Diagnosis reports that individuals who have schizophrenia and also smoke have a 20 percent lower life expectancy rate and higher rates of smoking-related cardiovascular and respiratory diseases than the general population. Smoking increases mortality rates and decreases overall health in a person. Cocaine, methamphetamine, amphetamines, and other stimulant drugs may temporarily increase happiness and reduce the depression and anhedonia (inability to feel pleasure) that may be symptoms of schizophrenia; however, they may increase psychotic symptoms, which are known as positive symptoms, and ultimately backfire with increased depressive and suicidal thoughts. NIMH estimates that around 10 percent of individuals battling schizophrenia will complete a suicide attempt. Opioid abuse (heroin and prescription painkillers) may increase pleasure, provide relaxation, and block pain, but it can also increase the odds that an individual diagnosed with schizophrenia will need hospitalization, a study published in the Nordic Journal of Psychiatry reported. Incidents of violence and violent crime may be increased by comorbid schizophrenia and substance abuse, according to the Journal of the American Medical Association (JAMA). Generally speaking, someone suffering from schizophrenia is likely to be mostly nonviolent; however, substance abuse may heighten symptoms and make someone more likely to engage in violent or criminal behavior. Other antipsychotics used to treat schizophrenia include paliperidone (Invega) and lurasidone (Latuda) These medications are generally thought to have fewer side effects, and fewer negative interactions with illicit substances, than the older more typical antipsychotic drugs, such as chlorpromazine, haloperidol (Haldol), fluphenazine (Prolixin), and perphenazine. Nicotine replacement medications may be used to help someone suffering from schizophrenia stop smoking. The Journal of Dual Diagnosis reports that bupropion (Wellbutrin, Buproban, Aplenzin, Budeprion, or Zyban) may be a good option when combined with clinical methods as well. Medications may be used during withdrawal and medical detox to reduce drug cravings and withdrawal side effects that can be both physically and emotionally intense, especially when coupled with a mental health disorder. When it comes to treatment for co-occurring disorders, such as addiction and schizophrenia, medical and mental health professionals who work together to provide a comprehensive, integrated, and simultaneous treatment plan often provide optimal results. A mixture of pharmacology and therapy methods is generally accepted to be the preferred method of treatment. Treatment may be in a residential, outpatient, or transitional setting, and individuals may move between levels of treatment as circumstances dictate. Research-based therapy models like Cognitive Behavioral Therapy (CBT) may be useful in treating comorbid substance abuse disorders and mental illness. CBT helps people to recognize how their thoughts tie into their actions and behaviors, and teaches new ways to cope with stress as well as life skills for making positive emotional changes that positively affect behavior. Family therapy and educational programs can help to make sure that everyone understands the disorders and how they can be supportive. Counseling and support groups may be beneficial as well. Both addiction and schizophrenia can be effectively managed with proper treatment. The essential component is that treatment be customized to the individual in need, addressing both the substance abuse issues and the schizophrenia in one comprehensive treatment plan.